I had the pleasure of seeing Erykah Badu live in concert last night at the House of Blues where she performed her classic album “Baduizm” in its entirety! She threw in some of her other hits like Tyrone, Window Seat, and Bag Lady as well. During her amazing nearly two hour set she gave us a few insights into the making of one of the greatest R&B albums of all time. She confessed that an artist that inspired her while making Baduizm was singer Brandy! She even broke out into Brandy’s classic “I Wanna Be Down”. Who woulda ever thought that the Neo Soul queen was inspired by bubble gum R&B princess Brandy? If you ever get the chance to see Erykah in concert you absolutely MUST go! The picture I included above was taken by me as she got off the stage and shook hands and posed for pictures with audience members. What iconic artist does that these days?! Love her! 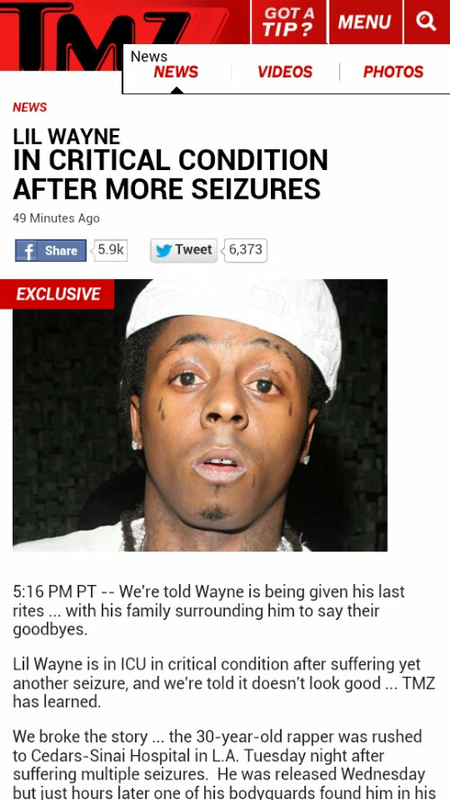 TMZ is reporting that Lil Wayne is in critical condition and being prepared for his last rites. 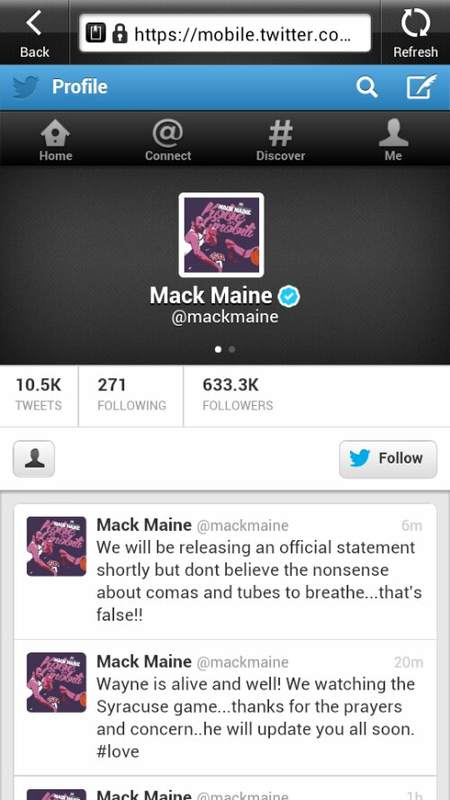 On the other hand Mack Maine and Birdman are on Twitter saying TMZ is lying and Lil Wayne is alive and well. Who are you to believe? I hope that Lil Wayne is fine and the story from TMZ is overblown. However history has shown that TMZ has excellent credibility with stories involving the LAPD and LA area hospitals. Either way, prayers go out for Lil Wayne’s recovery. Update: Lil Wayne was released from the hospital several days after his hospitalization. His camp consistently refuted the severity of Lil Wayne’s condition as reported by TMZ. Remember the reports about Janet Jackson and her beau planning a $20 million wedding? Well Janet Jackson just released a statement refuting those rumors as well as announcing she is happily married. Well alrighty then! Congratulations are in order for Ms. Janet and her new husband. Can we all agree that nobody is better at getting married under the radar than Janet? Some might argue that Beyonce is better but even though we never got an official statement or pics from the wedding everybody knew it was happening. I’m going to call Janet’s play a touchdown for outsmarting the gossip and putting those old rumors to rest. Best of luck to Janet and Wissam! P.S. I’m loving Janet’s throwback Justice braids! Decades after popularizing the style she is showing us she still got it!